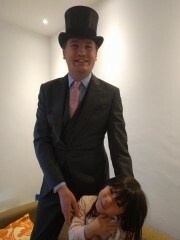 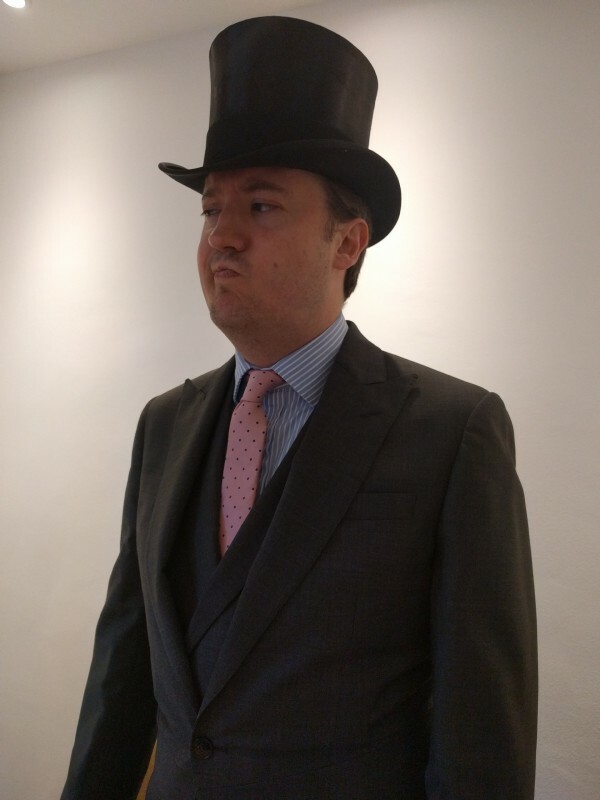 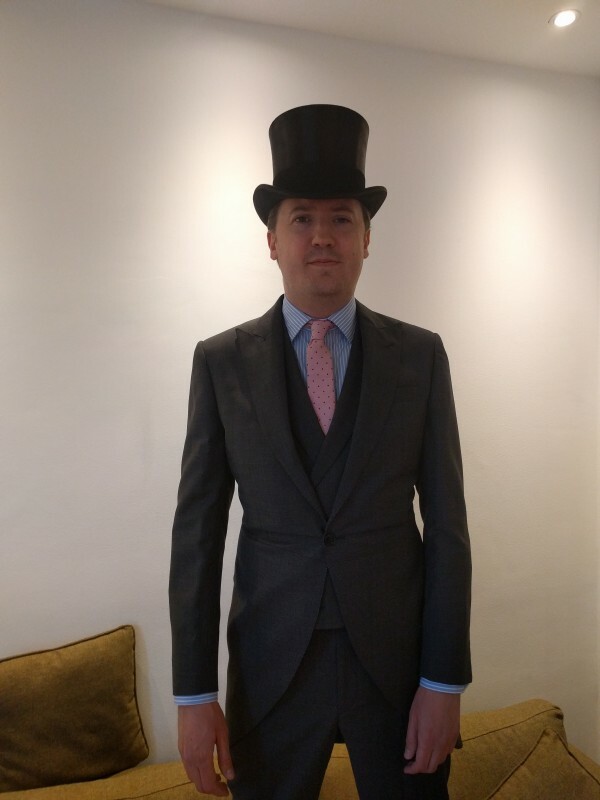 Tried on my top hat with my morning suit when I got home - would not seriously be considering this shirt+tie combination. 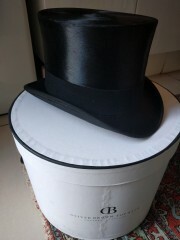 My top hat and the box. 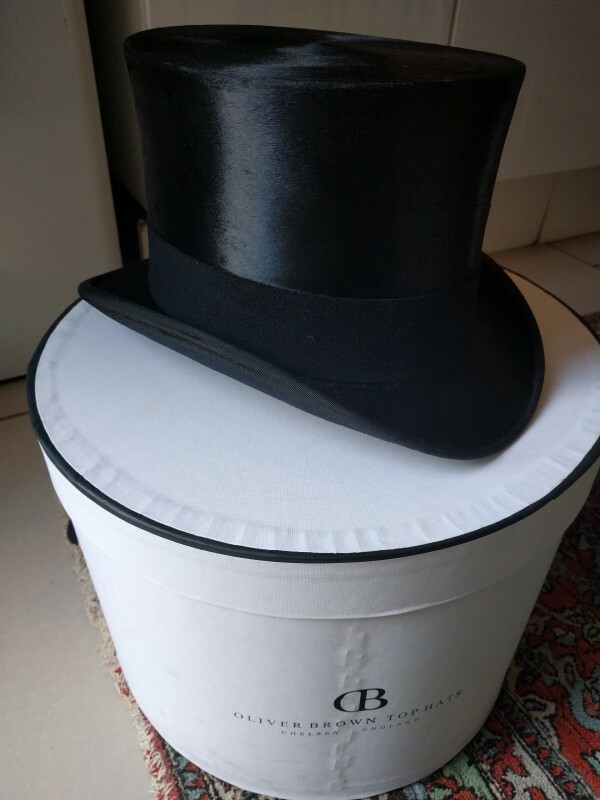 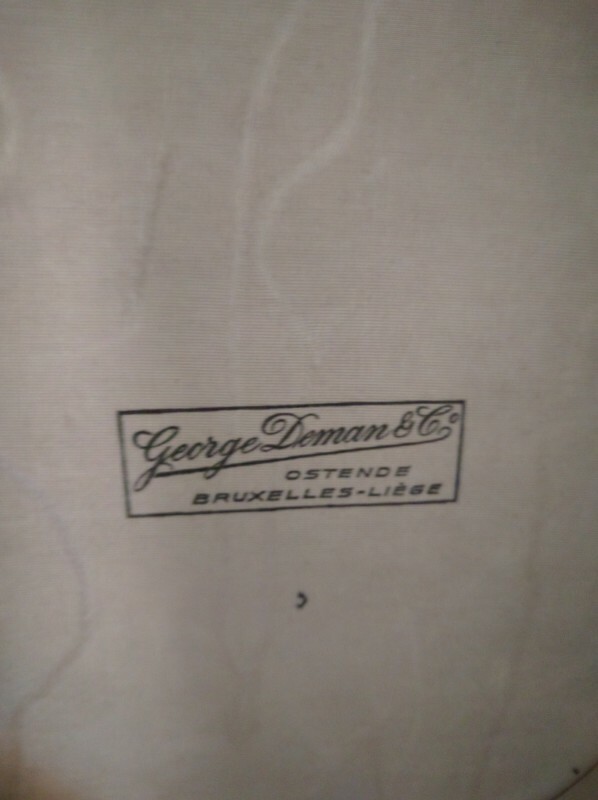 The label inside my top hat. Belgian, apparently.